The first generation Moto Z 2016 Edition is now receiving the official Android 8.0 Oreo firmware update. 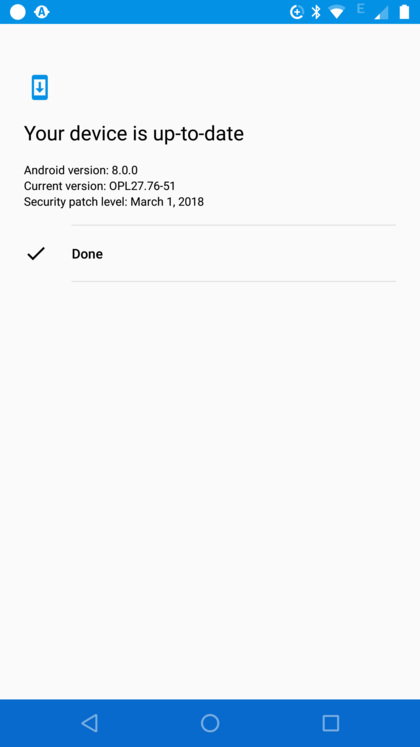 It also features the latest March 2018 Android Security Patches. Not much is known about the update log as of now, except, it comes with some stability updates and system improvements. The OTA update is currently rolling out in waves in the United States, and some European countries. So download and install the latest OTA update right now. As the firmware is based on Android 8.0, it features all the Oreo goodies such as Picture-in-Picture, Autofills for passwords and usernames, notification categories, notification snoozing, aggressive Doze mode, and much more. 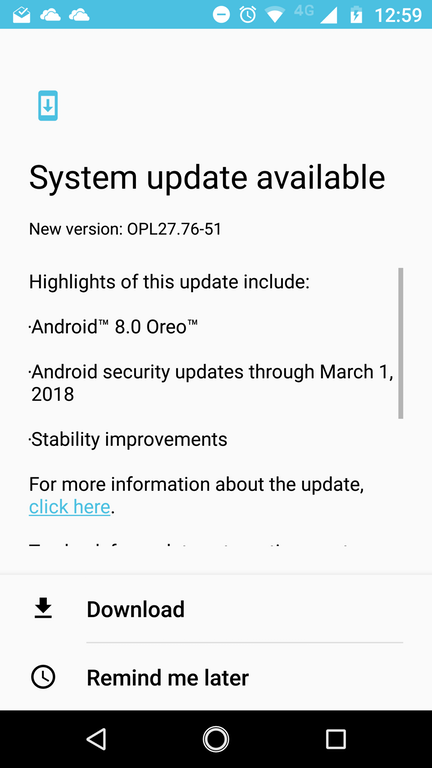 The Oreo update comes with a new firmware build number OPL27.76-57 for the Moto Z 2016 Edition and the OTA weighs 937 MB. As usual, the security patch level is stepping up to that of December 2017 with this upgrade. As of now, we have not been able to capture the OTA update. The update is moving in batches over-the-air (OTA) so it might take a while to reach all the devices. However, there are ways to update the Moto Z to Oreo manually. Following we have listed the factory image or full stock firmware file which can be flashed via Fastboot mode. Here is the direct link to the factory images. Download images for Nougat or Oreo. The following factory images should work with all variants except RETCN. In case you don’t like the Oreo update, you can downgrade using the same method. Just use the following Nougat factory image and follow the instructions. Moto Z Force received the Oreo update followed by Moto X4 Android One version, that received Android 8.1 Oreo. Soon the Moto G5 and G5 Plus will receive the update. Also, in general, your device will capture and install the update automatically. You can check it yourself too. Just do the following. If it is available, install the update as per instructions. How to update Moto Z to Oreo using factory images? Unlocked Bootloader on your Motorola device is a must. Although it is optional, it is recommended to do so. Enable OEM to unlock and USB Debugging and Advanced Reboot options from Developer Settings. Enable Developer Options from Settings > About Phone > Tap on the Build Number several times. Also, Setup ADB and Fastboot from here for Windows or for Mac OS, Linux, Chrome OS. You may also like Minimal ADB Fastboot Drivers. Download USB drivers from official Motorola page. Download the factory image for your Motorola device from above and transfer the files to PC. Make sure that you setup ADB and Fastboot on your PC using 15-second installer. Now turn off your device completely and unplug it from your PC. Reboot your Android device in Bootloader mode or Fastboot mode. To do so, press and hold volume down + the power button for a few seconds. Choose Fastboot if such an option is available. Now go to the location where the factory image and OTA are available on your PC. If you are flashing the factory image, then extract the firmware files and open the folder. Open a command prompt or cmd window or terminal in the same folder. Hold shift key on the keyboard and right-click on an empty space and select “Open command window here”. Method: You can manually flash each and every file in the extracted firmware folder by issuing the following commands. Each string is a firmware file. So make sure you have flash each and every file. Note: that you type the exact name with its proper extension. You can also use keyword- fastboot. Count the number of sparsechunk files and flash each one. Follow us for all latest updates and news regarding Android Oreo. Hi, I’m from mexico and my moto z still has a guarantee and I would not like to unblock the bootloader, can I still do this process?, thanks. btw, the link of the factory image of nougat and oreo is the same. Hi, thanks for the heads up. The post has been updated with the latest factory image which should work on most of the Moto Z variants. It comes directly from Motorola servers. Also, as it is a factory image, it needs an unlocked bootloader. You can re-lock the bootloader again after the installation. Also, unlocking the bootloader and enabling OEM from developer options is a recommended step, because if anything goes wrong, you can always revert back.